Shane Carmody has been appointed director of aviation safety at the Civil Aviation Safety Authority (CASA) for a five year term. Carmody, who was deputy chief executive of CASA between October 2006 and October 2009, has been acting in the role since October 2016, following previous CASA director of aviation safety and CEO Mark Skidmore’s resignation from the position in August 2016. “The new Director of Aviation Safety was chosen after an international search for the best available person to further develop CASA as a world leader in aviation safety regulation,” CASA chairman Jeff Boyd said in a statement on Wednesday. Carmody has previously committed to leading a CASA that is “firm, fair and balanced”. 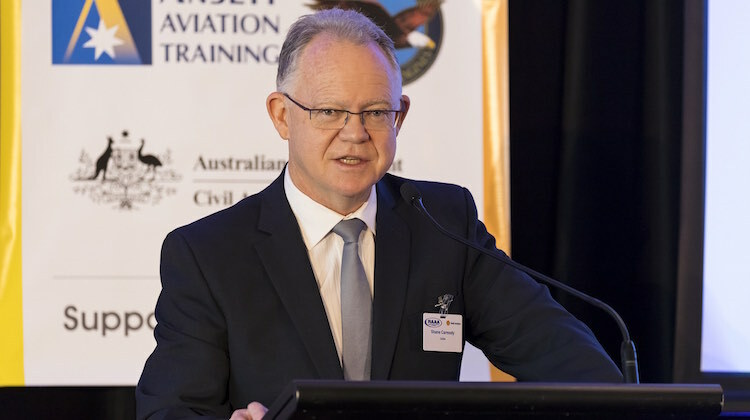 “My focus is on delivering a firm, fair and balanced aviation safety regulation system, promoting a positive and collaborative approach,” Carmody told the Regional Aviation Association of Australia’s annual convention last October. Minister for Infrastructure and Transport Darren Chester said Carmody’s appointment will ensure CASA “retains strong leadership into the future”. “Under Mr Carmody CASA has already commenced the examination of a number of priority issues raised by industry including fatigue rules, aviation medical, and targeted regulatory reform,” the Minister said in a statement. April 2016 – October 2016 Deputy Secretary, Department of Infrastructure and Regional Development. We will just ignore the issue of fatigue !! Carmody might be the best person but CASA a world leader… I don’t think so.